charlie hearn wades through endless mix tapes so you don't have to , unearthing greatness amidst the mire, whilst drawing our attention to the return of eminem, waving t.i. off to prison, and applauding as run d.m.c. are inducted in to the rock and roll hall of fame. 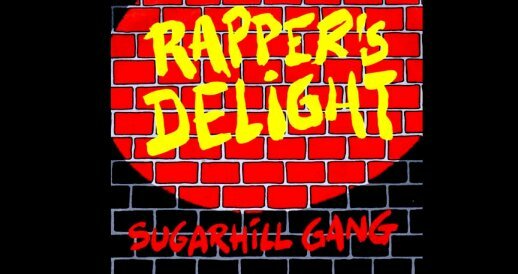 April recently marked the 30th anniversary of the Sugar Hill Gang's 'Rapper Delight', dubbed as the first commercial Hip Hop release. Radio One latched into this concept like bees to honey and immediately launched into a 5 hour extravaganza with Tim Westwood and Zane Lowe counting down the 30 "most Hip Hop" people. Unfortunately I only managed to last an hour before boredom set in and I started to wonder if this wasn't more like the 30th anniversary of Hip Hop's death, celebrating the day that business became an integral part of the culture - make of it what you will. There was one glaringly obvious gem to come out of all this kafuffle, Trevor Nelson's right hand man Jaguar Skills put together an astonishing 60 minute masterpiece that attempted to squeeze all 30 years worth of material into a chronologically ordered mix! Not only that, but you're able to download the whole thing for free right here at Jaguar Skills blog page, it's certainly worth a skim through if only for the novelty factor. Eminem released his come back single 'We Made You' this month, playing on his Slim Shady persona in a similar vein to his 1999 debut 'My Name Is' released almost exactly a decade ago. You'd be hard pushed to have missed the video with Em ripping the p*ss out of Amy Winehouse, Jessica Simpson and Elvis Presley, to name but a few. His 4th studio album Relapse is out next month and features an array of cool and controversial artwork, centred around the album's overall theme of drugs. There's even a spoof website for a rehab centre called Popsomp Hills (pop-som-pills), designed as a viral online campaign to get people talking about the album. All of the above can be found on Eminem's official website. Now for some more freebies, and we're talking mash up albums. Adrian Champion is an LA based DJ, producer and rapper who isn't really known for much outside the Bay area. However, he's done a stunning job of reworking some Hip Hop classics using an array of White Stripes instrumentals. The project's called Stars and Stripes and is available as a totally free download here. A similar project has also caught my eye, maybe you've heard about Danger Mouse using The Beatles' White Album and Jay Z's Black Album to create The Grey Album? Well, how about using a selection of Jay Z vocals and combining it with some classic Radiohead to create... wait for it... Jaydiohead of course! I can already feel Radiohead purists the world over wincing at the mere thought of it but I think it's done quite tastefully, see what you think. It's time for a little catch up on some of the Hip Hop gossip that's been circulating the internet forums recently. The controversial Lil Wayne documentary The Carter is set for release after being previewed at the Sundance Film Festival in Utah to great acclaim. 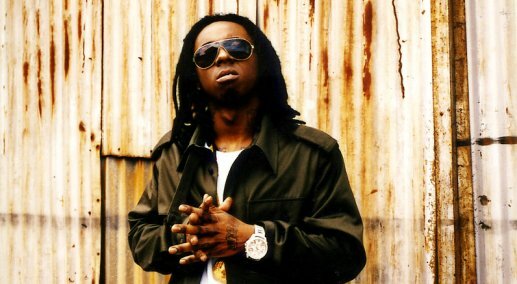 Wayne's management have been locked in a legal battle trying to stop the 3QD doc from being distributed, after fears that scenes depicting the artist's drug use would damage his career. Rapper T.I., famed for his collaborations with Justin Timberlake and Rihanna will start his jail sentence of a year and a day next month, after being convicted of trying to buy unlicensed machine guns in 2007. In an attempt to sustain his career over the stint, there will be a special edition release of his most recent top selling album Paper Trail, including at least 5 new tracks, as well as collaborations with Mary J Blige and The Dream. Hip Hop wild child DMX is allegedly the first celeb to have signed up for VH1's 'Celebrity Rehab' reality TV series. Widely reported by the press yet denied by sources close to the rapper, it's unclear whether or not this story is true. DMX, real name Earl Simmons, is currently serving a 90 day jail sentence in Arizona and has previous been convicted of drug charges, crimes relating to animal cruelty and traffic violations. 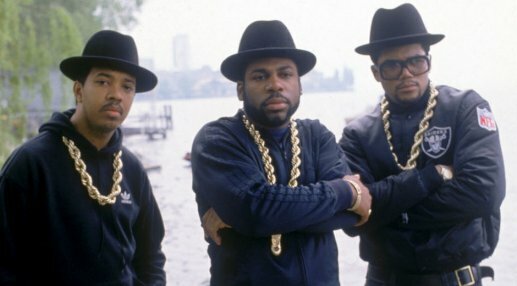 And finally, at the start of this month Hip Hop legends and self proclaimed Kings of Rock RUN DMC were inducted into The Rock and Roll Hall of Fame. Eminem did the honours with an emotionally charged 5 minute speech that covered everything from documenting the groups pioneering achievements to paying homage to some of his personal inspirations. Groups can only be inducted 25 years after the release of their debut album and the only other Hip Hop based act to be entered so far has been Grand Master Flash in 2007 - with the Beastie Boys hotly tipped as the next. Stayed tuned for more goodness next month.